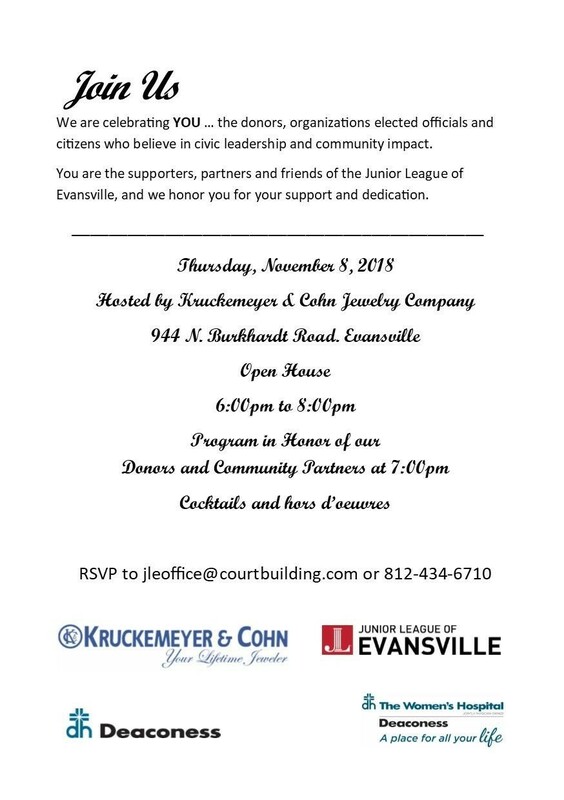 At this Donor Event, we are celebrating YOU … the donors, organizations, elected officials, citizens and members who support the Junior League of Evansville who believe in civic leadership and community impact. The event starts at 6 pm. We will honor our Donors and Community Partners at 7:00 pm.